Travel back to yesteryear! This wonderfully maintained home shows pride of ownership. From the high ceilings to the built in cabinets and storage, to the Koa and Oak hardwood floors throughout (including under carpeting), this home takes you back in time. The main level features a large living room with a wood burning fireplace, built in storage, custom window treatments, and golf course and distant ocean views. There are 5 bedrooms and 2 full baths on this level. 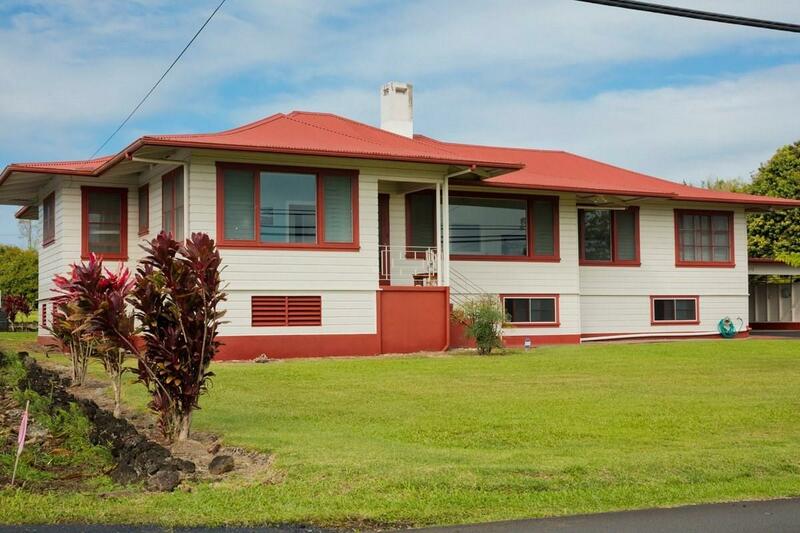 One of these bedrooms has no closet, but does have built in bookshelves and a private entrance to the front lanai; perfect for that home office. 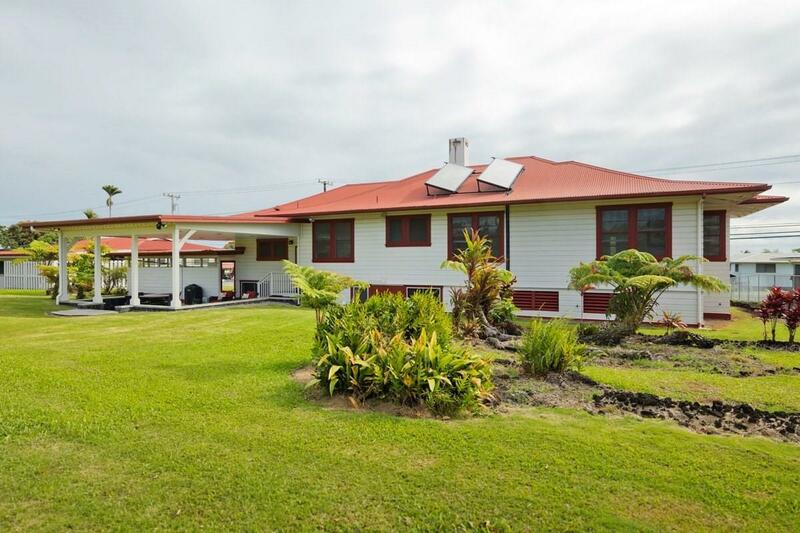 Enjoy Mauna Kea and Mauna Loa views from the bedrooms located in the back side of the house. The hall bath has a furo tub, and the ensuite master bath has been recently renovated to feature a dual flush toilet, glass tile in shower, integrated exhaust fan, and recessed lighting. 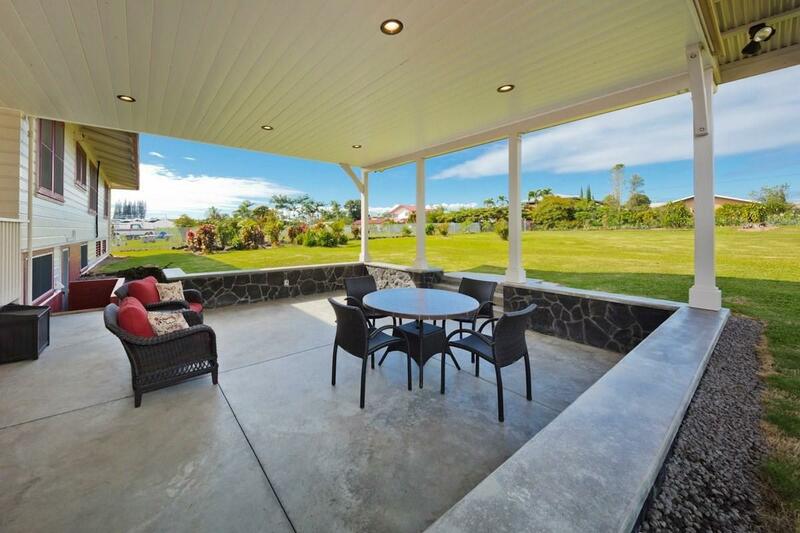 The large eat-in kitchen has newer stainless steel appliances and tons of counter space.The home sits on a large lot, less than 5 minutes to Waiakea public schools, UH Hilo, Puainako extension, the new Haihai fire station, and Hilo Municipal Golf Course. 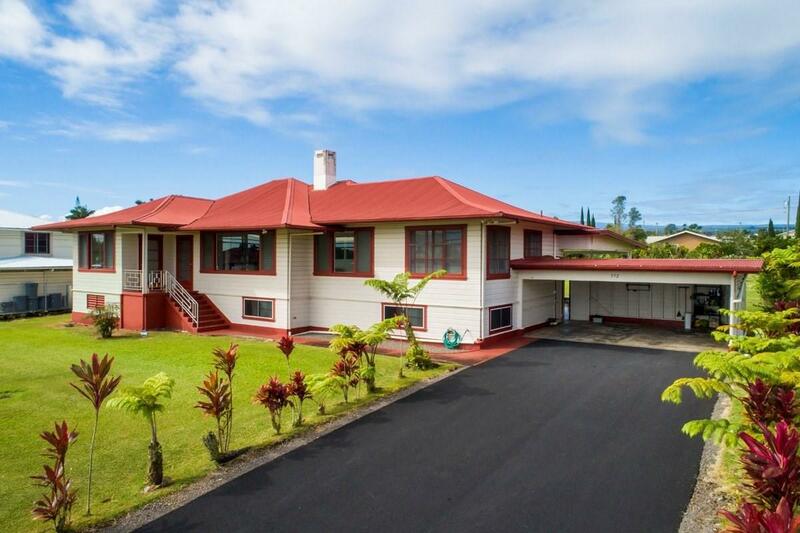 On the exterior, the driveway was recently repaved and the landscape includes grassed lawn, tropical foliage, orchids, and fruit trees. The large 20 x 24 permitted back lanai addition is perfect for entertaining, with 10' high ceilings and dimmable recessed lights. Downstairs is a basement; County records refer to it as a finished basement. The area includes a partially finished workout/rec room, bathroom with standing shower, and laundry area. The basement could use some updating, but there is no dispute you have plenty of space. Then there is the stuff you don't see. The Sellers installed new copper water piping, a solar water heater, and a number of electrical system updates. Most of the light fixtures in the home have been updated.This is a home that must be seen!